The Last game of the 2016 Summer Season will be held on Tuesday September 6th (Wednesday August 31st was rained out). Note that the game will be weather permitting. 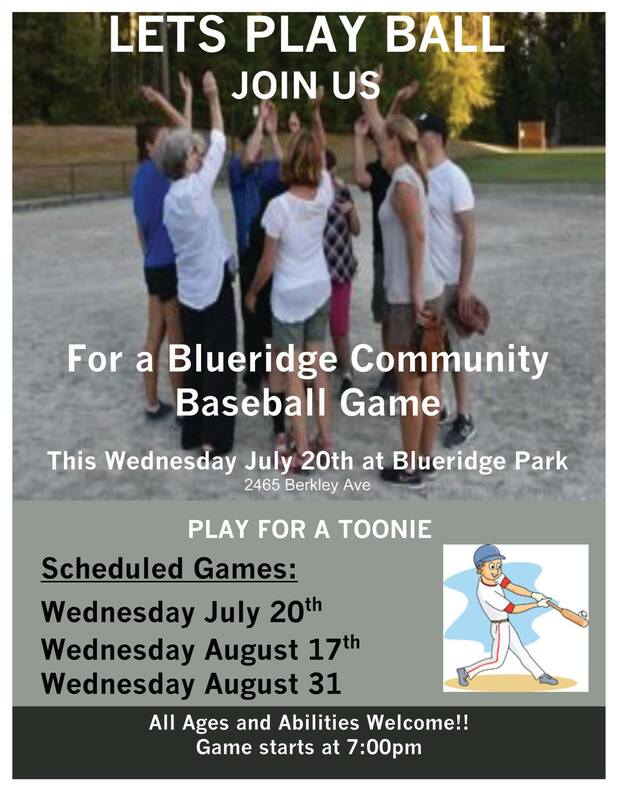 Come out and meet your neighbours for a fun and informal game of baseball. Bring a mitt if you have one, and be prepared to cheer for your team. Join in at 7:00 pm in Blueridge Park. Questions – contact us at info@blueridgeca.org.